Don't miss car wash tours and new consumer research! 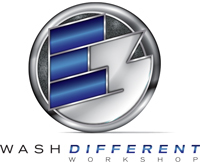 This year's Wash Different Workshop Sept. 22-23 features an in-depth look at the ICA's latest Consumer Study, along with a deep dive into how to use that information to market to consumers. Plus, this year we've added Car Wash Tours to the program! Check out the ICA Supplier Guide. We're providing a resource to help connect the owner/operator and supplier community in commerce. The guide features a completely responsive design, meaning it's perfect for use on your mobile device, and is translated in six languages. Visit http://www.carwash.org/supplier-guide to view the full article online. Many business owners have a dream of selling their business some day. But many of those businesses will never be sold. A lot of business owners are struggling to find a buyer who’s willing to pay anything close to asking price. If you are one of these struggling owners, you might want to consider the following questions. Visit http://boss.blogs.nytimes.com/2014/09/04/why-many-small-businesses-cannot-be-sold/?_ to view the full article online. Is it time for leaders to wake up and smell the coffee? Translated into the world of work, it means Wake UP and reconsider the millennials. Are they really a scary new narcissistic band of selfie-takers and obsessive texters with the attention span of a tweet and enormous expectations in terms of compensation and reward? Are they really so entirely different from the rest of us, as in, anyone over the age of 30? Visit http://www.forbes.com/sites/meghanbiro/2014/09/05/reconsidering-millennials-theyre-not-that-different-from-you/ to view the full article online. Every business owner would love to inspire a sense of loyalty and support for their brand from each one of their employees. In the real world, few employees will actually go out of their way to gush about their employers or the brand they work for. Here are some simple pointers that can steer your business towards that dream goal. Visit http://smallbiztrends.com/2014/09/turning-employees-into-brand-champions.html to view the full article online. There’s a difference between being a cause, as Children’s Miracle Network is, and supporting a cause, as the vast majority of brands involved in cause marketing do. The distinction is significant, and it offers warnings for companies of any size considering a leap onto the cause marketing bandwagon. Visit http://www.businessweek.com/articles/2014-09-03/the-dangers-of-cause-marketing#r=nav-fs to view the full article online. Eric Wulf has seen lots of carwashes but none like the Mr. Wash in Stuttgart. "This thing will stand forever," the chief executive of the International Carwash Association recalls thinking while on a trip from Chicago. "There's more concrete and steel here than at 10 car washes in the U.S."
The two-story structure needs to be strong because it can wash over half a million cars annually. America's biggest car washes handle around 200,000 cars, Wulf said. Visit http://online.wsj.com/articles/germans-praised-for-their-autos-love-a-good-carwash-even-more-1410230469 to view the full article online. The former Airport Cadillac property on the Airport Motor Mile is going back into the car business — but cleaning instead of dealing. Knoxville-based 3 Minute Magic Car Wash, owned and operated by Jim and Teri Rooney, has purchased the former Cadillac dealership property in Alcoa, which includes 2.7 acres of land and 28,000 square feet of existing building structures. Visit http://www.thedailytimes.com/news/minute-magic-car-wash-buys-former-airport-cadillac-property/article_2d747c44-8f4a-52a9-b9e2-a022d7c9e7fb.html to view the full article online. Wash It Dean car wash held their grand opening for their new Fairborn location last week, and they are hoping to bring a personal touch to their local customers. Owners Josiah and Jessica Dean, and their 4-week-old daughter Aliah, have invested four months of sweat equity, as well as thousands of dollars, into rehabilitating the former Minute Lane car wash.
Visit http://www.fairborndailyherald.com/news/home_top/50538153/Wash-It-Dean-opens-in-Fairborn-location to view the full article online. Brothers Adam and Sam Jidd are making a big investment to keep your car clean. The pair put $100,000 for technology upgrades alone into the art deco building at 1215 Rand Rd., Des Plaines, to reopen the vacated car wash as Luxury Auto Salon. Adam said the business would begin cleaning cars on Monday, Sept. 8. Visit http://www.journal-topics.com/business/article_b6d01eda-33b1-11e4-98fc-001a4bcf6878.html to view the full article online. If you live in Lubbock, the next time you get your car washed, you could be helping a child. Wednesday morning Covenant Children's Hospital received a little extra help for their Children's Center, thanks to Racer Classic Car Wash. On the first and third Tuesday for the past 16 months, Racer has donated a dollar from every car wash to the center. Visit http://www.ktre.com/story/26442870/racer-classic-car-wash-raises-40000-for-covenant-childrens-hospital to view the full article online. PDQ Manufacturing, Inc. proudly participated in the Summer of 2014’s cultural phenomenon—The ALS Association’s Ice Bucket Challenge. Visit http://carwash.org/news-landing/2014/09/05/pdq-manufacturing-inc.-employees-take-part-in-the-als-association-s-ice-bucket-challenge to view the full article online.